A winter mission up to Keppel’s Hut has become somewhat of a yearly pilgrimage for me since I moved to Melbourne. 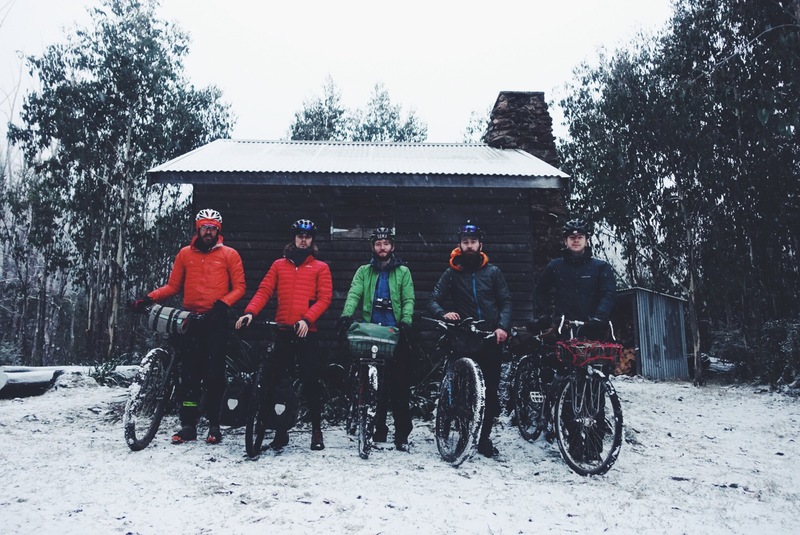 It’s always a hard day of riding in the mountains culminating in a few kilometres of hike-a-bike to get to the little wooden hut, with little more to reward you for your efforts than a tin roof, some wooden bunks, a fire place, a stack of wood and the freezing cold. Yet there’s something that keeps drawing me back there year after year. The current hut is the third built on the site after the original that was built in 1939 for use by cattle grazers was burned in 1983. 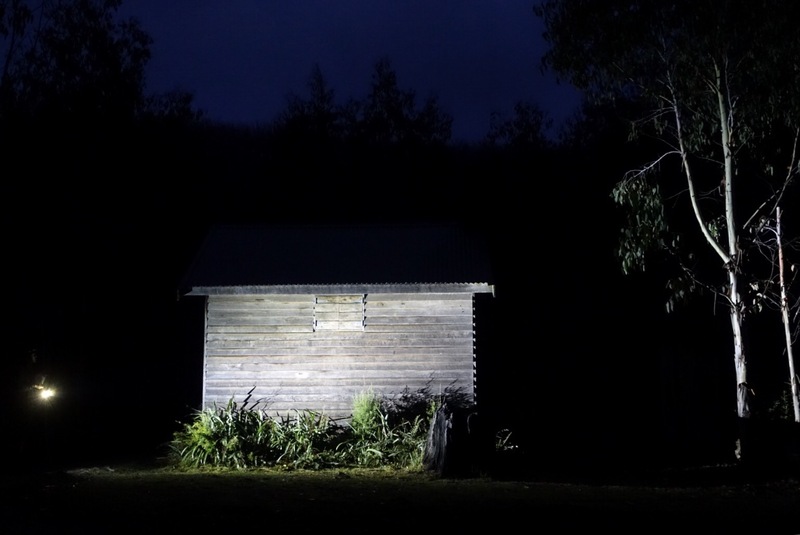 After the second hut was burned in the Black Saturday bushfires in 2009 it was again rebuilt around the original stone chimney and fireplace that was all that was left standing. After meeting shortly before sunrise to catch the first train of the day Todd, Ben, Guy, Chris and myself disembarked at Lilydale and slowly rolled out along the Warby rail trail to start our trek. 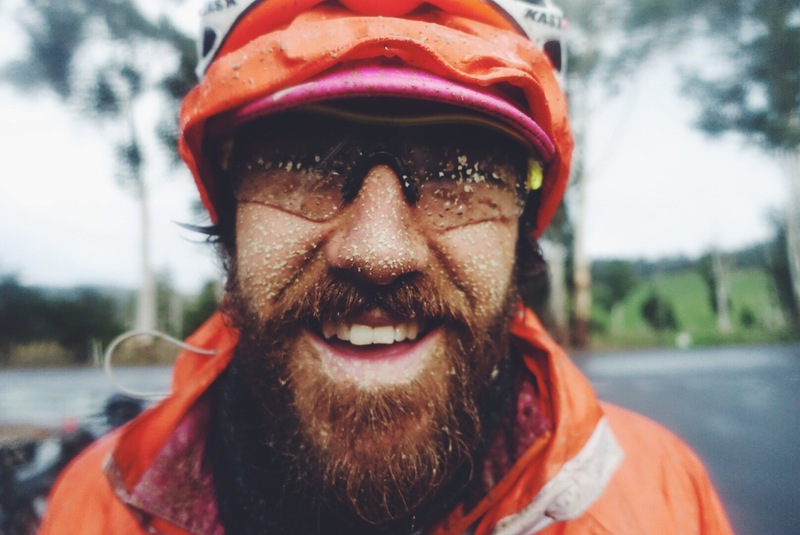 The short, gradual climb up to Mt Evelyn got the legs going before continuing along through Yarra Valley farmland. The rain set in within the first hour of riding, so out came the rain jackets and we continued on. At launching place we turned up Don Rd, out of the valley and began climbing up the lower slopes of Mt Donna Buang. 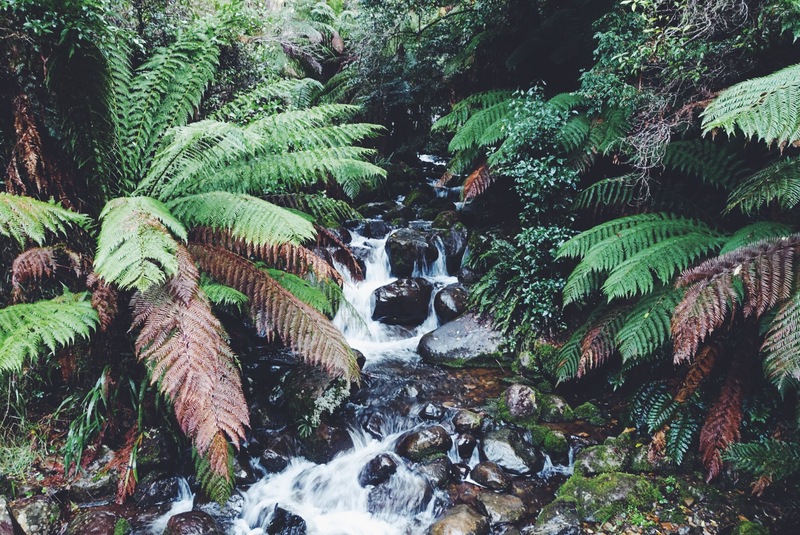 A failed attempted shortcut and some retracing of steps led us onto the O’Shannesey Aqueduct trail, winding along through the tree ferns up above Warburton. 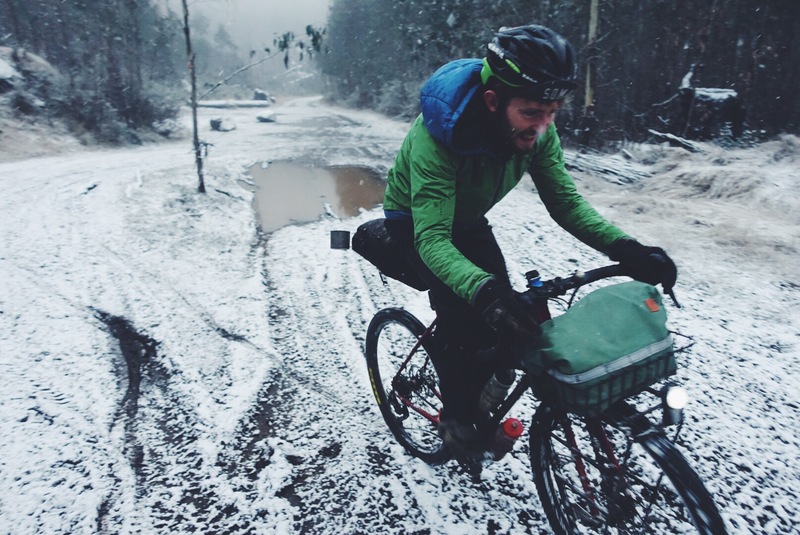 Once we hit Donna Buang Rd we continued our climbing, now on the tarmac, up to the junction with Acheron Way. Somewhere along the way I’d picked up a hitchhiker, and after giving it a free lunch I flicked the leech off my leg and we carried on into the thickening fog as Acheron Way returned to dirt. 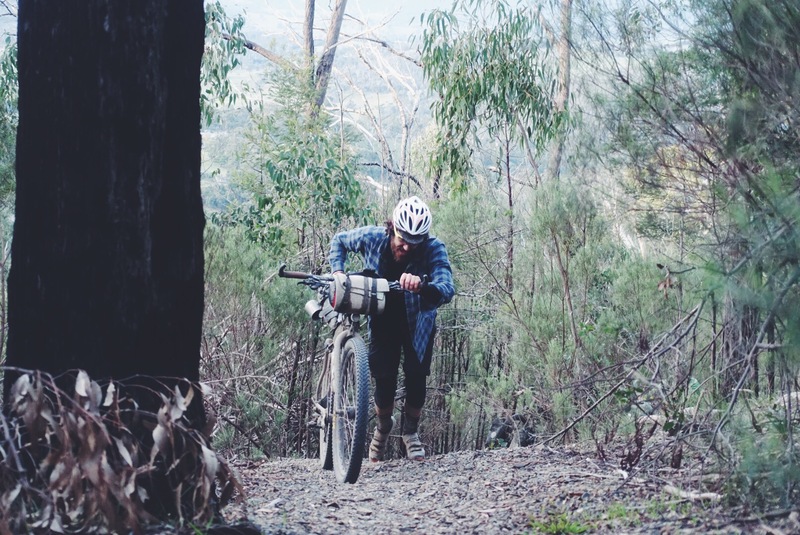 Through the towering mountain ash, across to Acheron Gap and then bombing down the long, flowing descent to Narbethong, which is really little more than a point on a map at the junction of 3 roads. From here we made the short, yet steep and deceptively arduous climb on the main road over to Marysville for food and a quick break before the final push up the back of Lake Mountain. It had been raining on and off all day to this point, so the opportunity to dry off and warm up in the bakery was welcomed, as was the returning off feeling to my toes. By the time we rolled out of town it was about 3, which meant, if we didn’t mess around we could cover the 30kms/1000m to the hut before sunset just after 5. Lady Talbot Drive is a gorgeous gravel road that carried us from Marrysville, descending briefly down to the raging Taggerty River before following its path through the ghostly white snow gums. Up, past Keppel Falls, the Taggerty Cascades, the gate that forbids vehicle access through the winter months and climbs and climbs. As it ascends, the road condition deteriorates, becoming steeper, rockier, muddier and more rutted. Despite the cool air of the evening, the sustained effort of climbing kept me warm and I continued to shed layers even as the temperature dropped. At the high point of the road, I turn off onto Upper Taggerty Rd alone, having left the others behind in my rhythm of climbing. The road splits onto Boundary Track and I’m amazed at how well the road condition has held together to at least remain rideable to this point. However this pleasure only lasted another couple hundred meters before Keppel Hut Track split off and the dirt gave way to the stickiest peanut-butter mud that I had been expecting and dreading. Not only is it loose, deep and slick, but it has this insane quality of just sticking to everything. 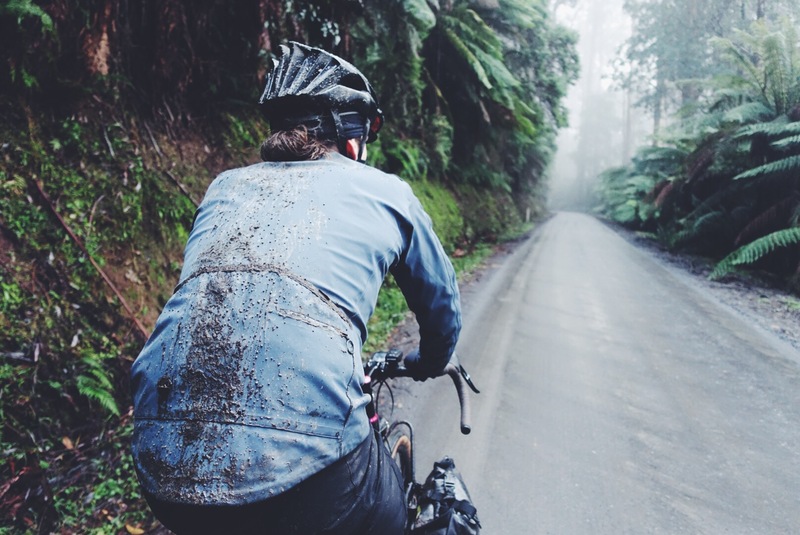 It starts with your tires as you begin to push your bike through it. It builds up so much that it starts hitting the fork and the stays of your frame. The wheels no longer want to turn and the bike becomes exponentially heavier as your progress slows. At points the track is lined with a thick native grass which offers some respite; helping to hold the mud beneath it somewhat at bay and clearing some of the mud off my tires. However there’s points where the grass thins and the mud begins to stick again, my feet slip and the wheels all but stop turning again despite my efforts to push it further up the mountain. By now the sun has set, but there are still ridges and peak above me and it that block the last of its rays and warmth. Some residual light still clings to the sky but it’s fading fast, as is its warmth. I know I’m within about a half kilometre of the hut now but the progress is so frustratingly slow. Upon finally reaching the hut the darkness has set and I rummage around in my bar bag to pull out my head torch. Chris arrives a few minutes later and together we get the fire going in the hut to warm things up while we wait for the others. Next Ben shows up, then Todd, and finally Guy who each take turns to warm their frosted hands by the fire upon their arrival. The night is filled with soup and food, joking and discussing our options for return routes in the morning. We have enough working knowledge of the area to piece something fun and challenging, yet still manageable together that we all agree on. Before bed we decide to make an early start at sunrise in hopes the the sub-freezing temperatures we are expecting overnight will freeze the ground enough that the mud we pushed our bikes up will be firm enough to ride down in the morning. 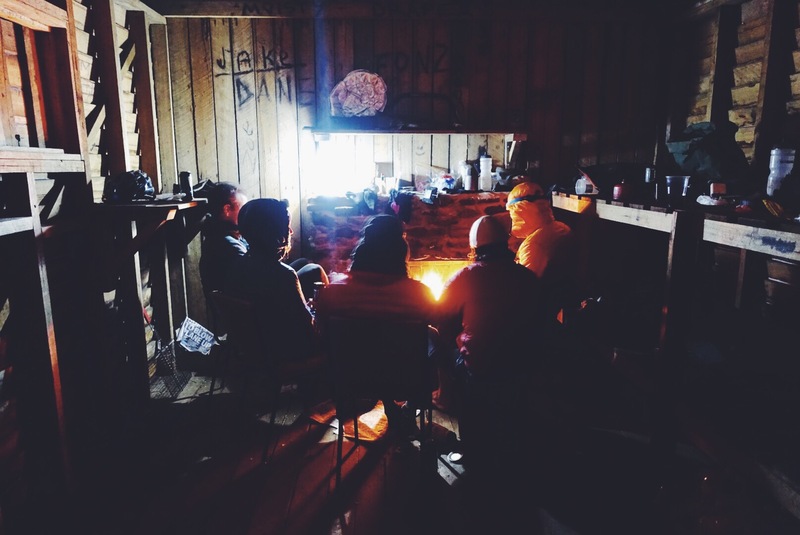 With a little prodding and feeding we manage to keep fire alive through the night to keep some warmth in the hut as we awake to a layer of snow blanketing both the ground and our bikes. 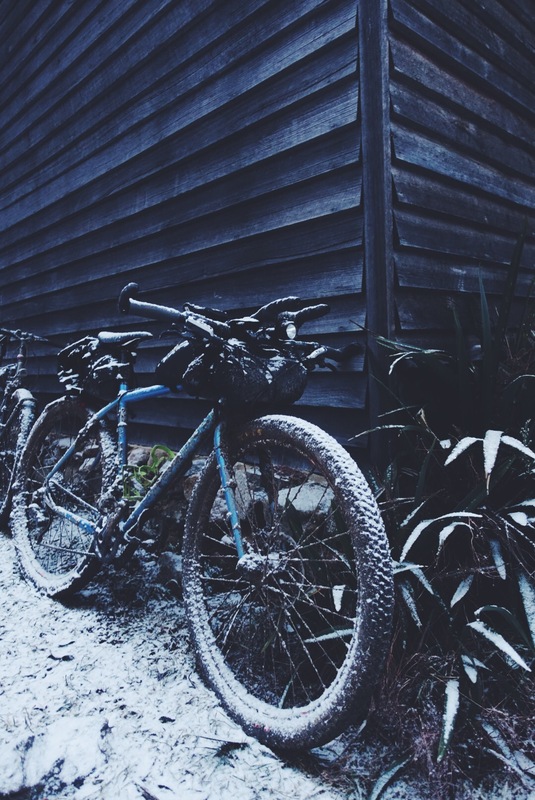 After clearing the worst of the mud from our bikes we set off back down Keppel Hut Track, through heavy flurries, but relieved to find the cold had done its job in holding the mud together beneath the snow. 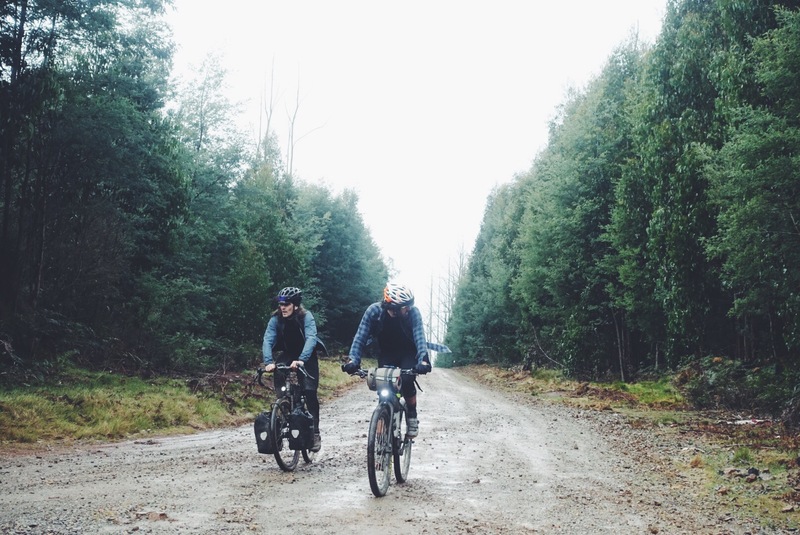 The frozen, chew up mud created a particularly rough surface to ride down, picking lines through deep 4WD ruts as we went, but at least it was rideable, and for the most part our bikes stayed clean. Arriving back at the top of Lady Talbot we turned north, away from Marysville descending for a while before the short climb up to Mt Margaret Gap. We began descending along Mt Margaret Rd towards Buxton and as we dropped elevation, the temperature rose. 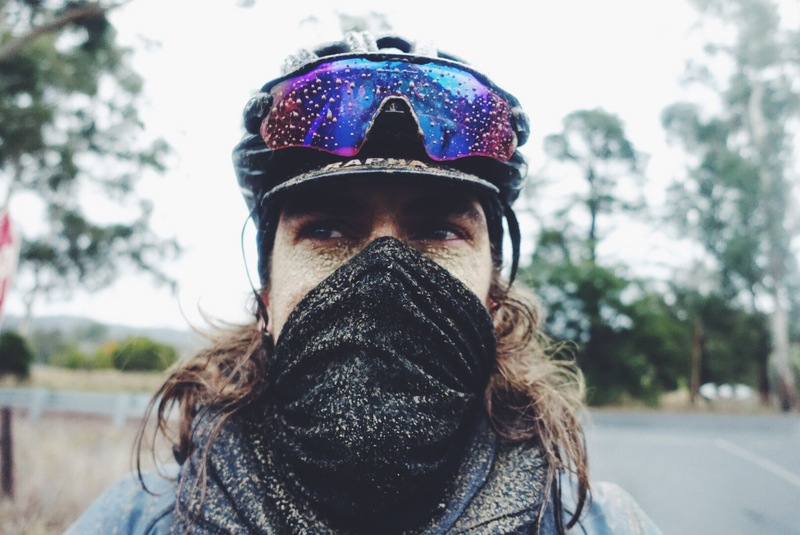 The snow on the ground cleared, the falling snow turn to sleet and then eventually rain, whipping our faces, and mud from the ground flinging off our tires and covering our faces, bodies and bikes as we zoomed off the mountain. We were pretty frozen by the time we reached Buxton and some warm food and coffee from the roadhouse was in order before our climb into Murrindindi. 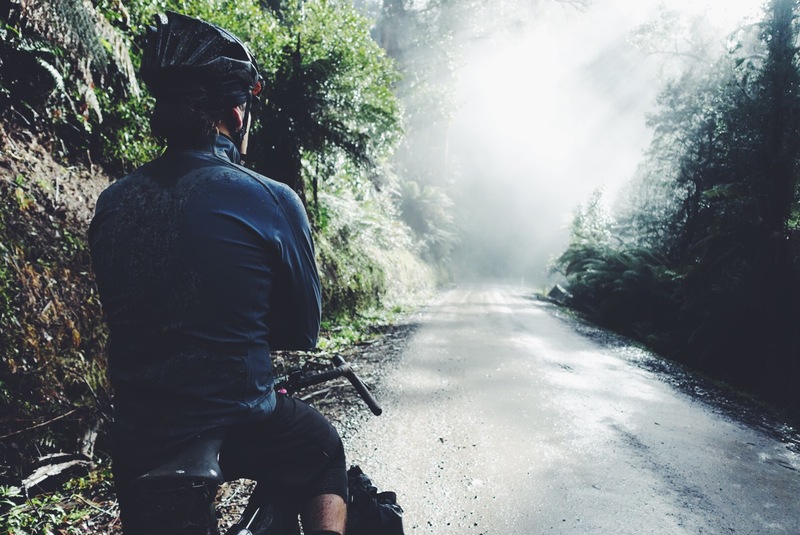 We followed the route I had taken on my previous Buxton mission a few months ago; making the steep ascent up Ure Rd in the rain to Black Range Rd before traversing the ridge line south and enjoying a super fun descent along Camms Survey Rd down to Siberia Junction and into Toolangi State Forest. 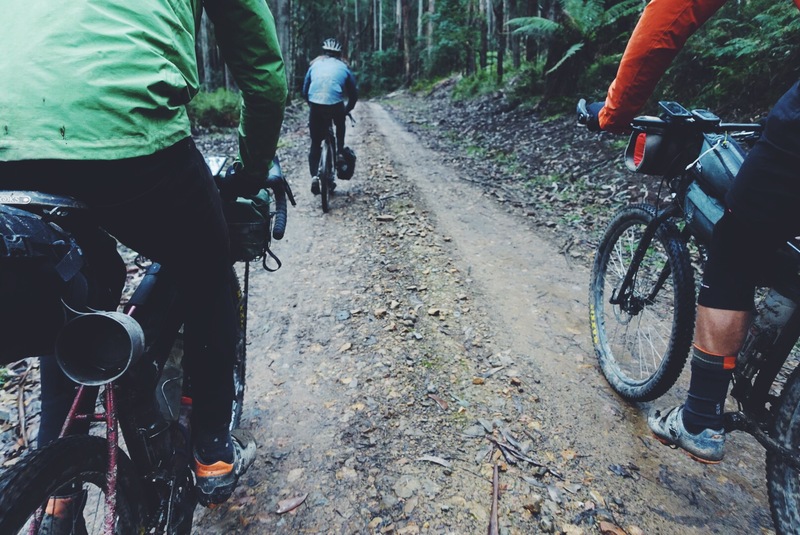 A pleasant, gradual climb followed, taking us up from the Murrindindi River to the base of Mt Tanglefoot before dropping down around the back of Mt St Leonard on Silvia Creek Rd and into the township of Toolangi. From here we dropped down Old Toolangi Rd, a gravel road that is only ever climbed before, through the valley and up our final real climb for the trip, capping it off with a little more hike-a-bike up the Tuan’s Track singletrack to get us up to Skyline Rd and the last push up to the top of Buttermans Track. Clearing the ridge we were welcomed by the first sunshine of our trip, breathing some energy back into our cold and tired bodies. Like all good trips should, ours finished with a couple of fun descents. Down Salters Creek Rd, through Smiths Gully and eventually bombing down along Red Shirt Gully Rd and into Hurstbridge, once again just in the final light of the day. It’s never an easy ride up to Keppels Hut. 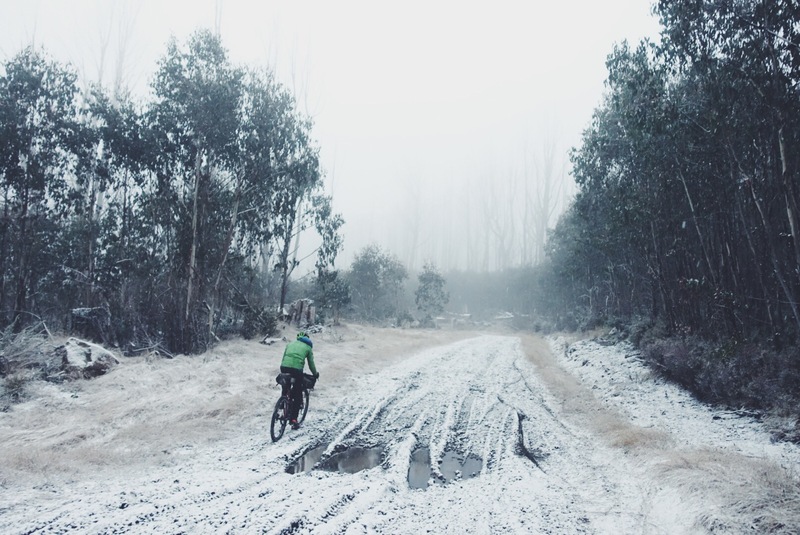 Riding in the mountains in the winter presents its own challenges. 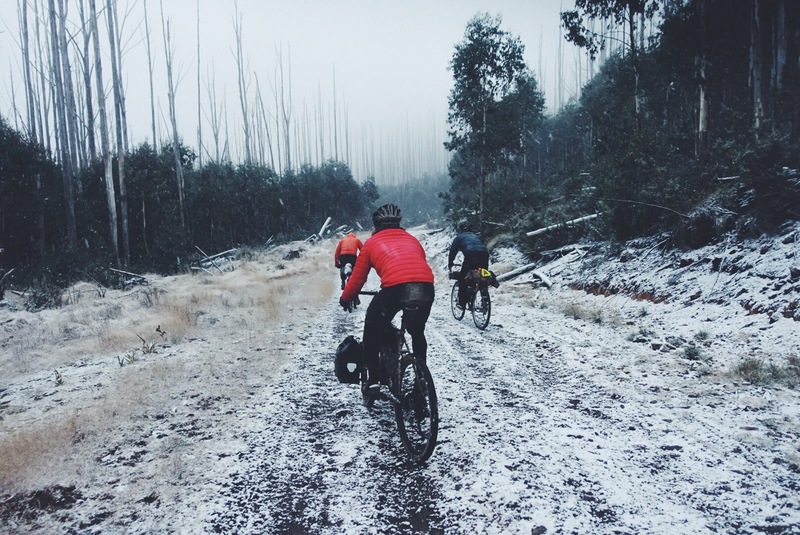 Battling adverse weather, but also the constant challenge of avoiding overheating on climbs and freezing on the descents. The cold too makes it that much harder on the muscles and yet, despite the adversity it’s always a great time huddled around the stone fireplace in that little wooden hut in the freezing cold. Recanting stories from the day and enjoying the quiet escape that only the night on the side of a mountain can provide. Link to day 1 Strava route here. Link to day 1 Relive route video here. Link to day 2 Strava route here. Link to day 2 Relive route video here. Sounds like a great trip with some ok conditions. Less daylight and extreme cold certainly does make a difference to what you can fit in to a day. This is the second fun sounding blog post I’ve read about Keppels Hut. 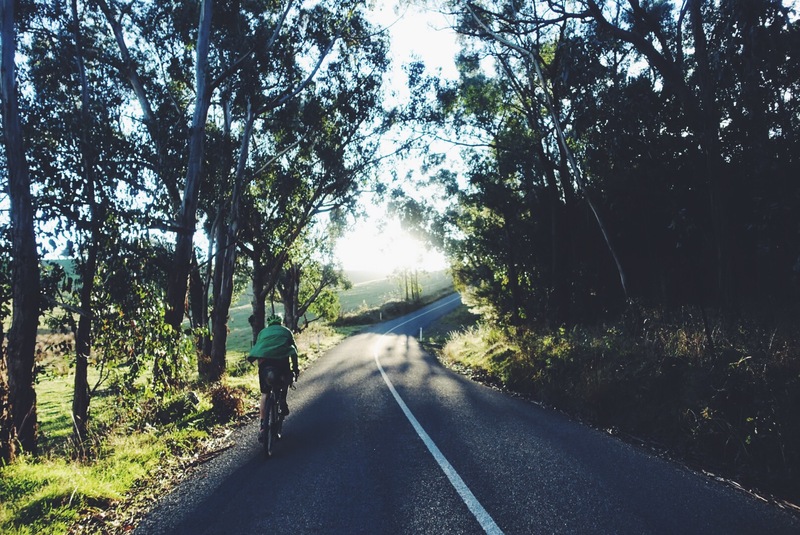 Would you have a Strava route or similar you could share? Hey mate, I usually include the routes and just realised I’d forgot to include them! Just updated with Strava links now and will put up GPX files later tonight.